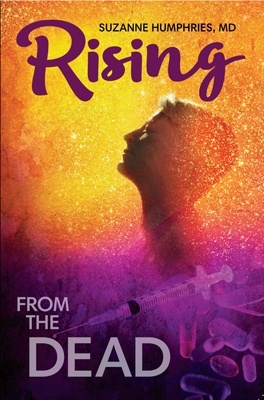 The DPT vaccine was highly reactive and carried a high risk of serious allergic reactions and brain inflammation leading to permanent brain damage, as detailed in the groundbreaking 1985 book DPT: A Shot in the Dark, co-authored by Barbara Loe Fisher, cofounder of the National Vaccine Information Center. DTaP shots — which contain the less reactive acellular pertussis vaccine licensed for infants in the United States in 1996 — are given five times to children under age 6, with additional Tdap booster doses recommended for teenagers and adults. Since the late 1980s, CDC data shows that kindergarten children in the U.S. have maintained a high vaccination rate with four to five DPT shots and, today, more than 94 percent of kindergarten children have had four to five acellular DTaP vaccines. Very high pertussis vaccination rates in the U.S. and many other countries for the past several decades should be more than sufficient to achieve vaccine-acquired herd immunity, if the theory of vaccine-acquired herd immunity is correct. Yet, despite high vaccine coverage, statistics show reported whooping cough cases continue to rise. So, what’s really going on? Scientific findings suggest whooping cough vaccines — both whole cell and acellular — fail to provide adequate protection against infection and the transmission of infection. There are indications that subclinical and undiagnosed pertussis infections have been occurring since the early 1980s among both vaccinated and unvaccinated persons. Had carriage studies been conducted … then this might have provided supportive evidence that infections were being blocked. But carriage studies were not done. Rather, it was assumed that because wP vaccines appeared to confer herd immunity, they therefore blocked carriage. In hindsight and in light of subsequent evidence, that assumption was probably correct. It was subsequently assumed that aP [acellular] vaccines, most of which include combinations of adhesion protein antigens … that enable B. pertussis to bind to respiratory epithelium, would also block carriage. But, while logical, that assumption appears to have been incorrect. In a nutshell, the authors of the new pertussis study blame the apparent global resurgence of whooping cough cases on the failure of acellular pertussis vaccines, which were licensed for infants in the U.S. in 1996 after parents in Japan in the 1970s, and parents in the U.S. in the early 1980s, lobbied for a purified pertussis vaccine to cut down on the numbers of children being brain damaged and dying from DPT shots. The authors allege that acellular pertussis vaccines, which demonstrated superior safety and effectiveness in prelicensure clinical trials conducted in the 1990s, do not work the way older whole cell pertussis vaccines did, and that it is this difference that is causing reported cases of whooping cough to increase. In 2014, there were more than 32,000 reported cases of whooping cough in the U.S., most of which occurred in vaccinated populations. However, evidence shows pertussis deaths dropped by 75 percent between 1922 and 1948, a year before the introduction of DPT in 1949. In 1948, the mortality rate was less than 1 pertussis death per 100,000, and this rate has not been surpassed since. [5,6] So, the plummeting disease and mortality rates noted in the recently featured pertussis review were not the direct result of the whooping cough vaccine. The authors allege that, while both acellular and whole cell pertussis vaccines may inhibit symptomatic disease (the actual coughing fits), the older whole cell vaccines to a large degree also appeared to block the spread of infection, while acellular vaccines do not as efficiently prevent disease transmission. However, when you take a much closer look at this assumption — that only acellular vaccines produce asymptomatic carriers capable of spreading the disease while whole cell vaccines are incapable of doing the same thing — the scientific evidence demonstrates that the assumption is incorrect. Disease among infants <3 months old (i.e. too young to have been vaccinated) increased sharply in the late 1970s, coincident with declines in wP coverage rates. As wP coverage improved in the 1980s, pertussis incidence fell, including among young infants. Surprisingly, though, the infant rates stabilized in the 100–200 cases/100,000 infants/year range, even as disease among older age groups fell almost to zero. Since those infants are unlikely to be their own reservoir for infection, a more plausible explanation was transmission from a sustained pool of asymptomatic older individuals in the population. This also emphasizes that even very high rates of wP vaccination may fail to completely interrupt pertussis transmission. However, a seminal 2014 infant baboon study published in PNAS gave strong evidence that both whole cell and acelullar vaccines are incapable of preventing infection or transmission of infection. The scientists found that whether baboons were vaccinated with whole cell or acellular vaccines, they were all capable of being infected, sometimes asymptomatically, and transmitting infection to other baboons. While the admission that acellular pertussis vaccines don’t work may be shocking to some, it is important to point out that this paper seriously minimizes the evidence for the ineffectiveness of whole cell pertussis vaccines. This article, published on Mercola.com, was the first in-depth analysis written for the lay public to make this important point. 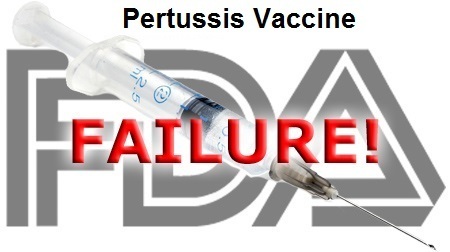 The B. pertussis organism actually began evolving to evade whole cell pertussis vaccine soon after DPT was introduced in 1949, developing new strains that produce more pertussis toxin to suppress the human immune system and cause more serious disease. Today, the pertussis strains included in the vaccine no longer match the pertussis strains causing the disease. Evidence also shows that subclinical, asymptomatic pertussis capable of being transmitted to vaccinated and unvaccinated alike has been circulating for several decades — regardless of which vaccine has been in use. When there are a lot of people with silent asymptomatic pertussis infections, it is impossible to know who is a carrier and who is not, which means that reported cases of pertussis are just the tip of a very big iceberg. It also means that articles blaming whooping cough cases on unvaccinated or partially vaccinated children are nothing more than wishful thinking and scapegoating. Bottom Line: Both natural and vaccine-acquired immunity is temporary and while vaccination may prevent clinical symptoms, it does not block infection, carriage or transmission. If vaccinated people can get silently infected and transmit infection without showing any symptoms — even after getting four to six pertussis shots — then pertussis vaccine acquired “herd immunity” is an illusion and always has been. In other words, the whole cell pertussis vaccine was no more effective than the acellular pertussis in blocking infection and transmission of infection. So, while the featured paper offers some important admissions, it doesn’t go far enough. 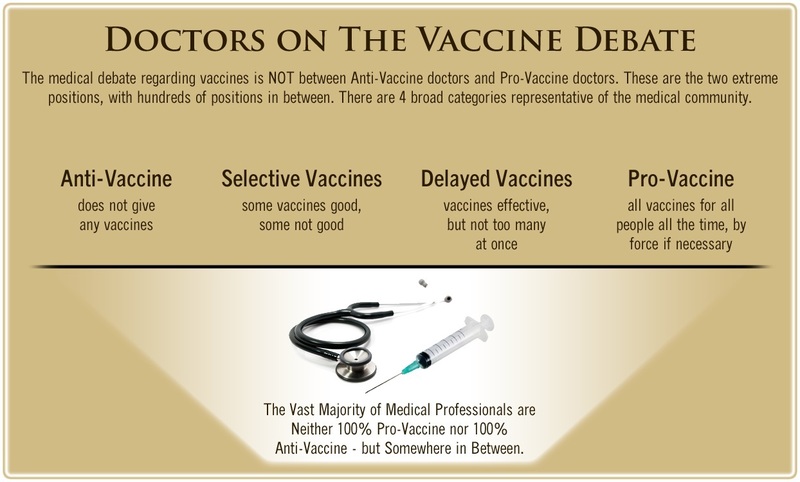 Vaccine manufacturers selling vaccines, medical trade groups promoting vaccines and public health officials responsible for regulating and making policy for vaccines clearly do not want to be held responsible for the failure of both DPT and DTaP/TdaP vaccines. At the same time, the failure of the whooping cough vaccine has become so obvious it cannot be swept under the rug much longer. In that respect, this paper is a timely one, providing the perfect message for propagandists: The more toxic whole cell pertussis vaccine had a superior effectiveness compared to the less toxic acellular vaccine and should not have been replaced. But this is simply a way of trying to deflect attention away from the fact that vaccines, including pertussis vaccine, not only cause harm but also fail to work as advertised. This disease is back because we didn’t really understand how our immune defenses against whooping cough worked, and did not understand how the vaccines needed to work to prevent it. Instead we layered assumptions upon assumptions, and now find ourselves in the uncomfortable position of admitting that we may made [sic] some crucial errors. • Contributing factors such as detection bias, waning immunity and evolutionary shifts in the pertussis’ genome alone cannot fully explain the epidemiologic data. Importantly, vaccine refusal was one hypothesis considered as a cause behind the resurgence of whooping cough that was ultimately discounted. In other words, they agreed that reemergence of whooping cough cannot be blamed on parents who opt not to vaccinate their children. Ever since the pertussis scare of summer 2010, the attacks on religious and conscientious belief exemptions have intensified and spread across the U.S., and it’s completely unwarranted. • The practice of “cocooning,” where Tdap is given to all household contacts of a newborn to prevent whooping cough in the infant does not work. As noted by the authors, “Cocooning is logical but presupposes that aP vaccines prevent asymptomatic infections. Most vaccines, including acellular pertussis vaccines, preferentially stimulate Th2 — a fact that other research suggests may compromise your immune function in the long term and increase your risk of cancer. Vaccine efficacy is determined by measuring antibodies, which is a sign of humoral immunity activity. The benefit of measuring antibodies as a means of assessing vaccine effectiveness is that it can be easily determined by drawing blood samples. If specific vaccine-induced antibodies are present, the person is presumed to be immune to that infection and protected because vaccine developers and regulators have maintained that if vaccines stimulate antibody production, it is a demonstration of vaccine-acquired immunity that is protective against infection and transmission of infection. The theory goes back to the early days when it was believed that the humoral (antibody) arm of the immune system was the most important part of stimulating immunity. There’s a problem with this theory, however. Research reveals that individuals who, due to a genetic variation, are unable to generate antibody production, actually recover from infectious illness just as well as those able to make normal antibodies. They also usually have protection in the future upon re-exposure. This demonstrates the importance of the Th1 arm of immunity, and suggests humoral immunity may only play a secondary role in natural resistance against targeted “vaccine-preventable” diseases. This, and the fact that vaccines fail to confer lifelong immunity, suggests that having a cell mediated (Th1) response is in fact necessary to confer robust, long-lasting immunity. Today, vaccine manufacturers are developing genetically engineered vaccines and adding novel vaccine adjuvants that hyperstimulate immune responses in an attempt to generate cell mediated immunity, not just humoral immunity. Since 2011, I’ve reported studies showing the whooping cough vaccine is failing, and the many reasons why. Here’s a quick summary of such findings. For more information, follow the hyperlink provided for each year. A 2011 investigation found the pertussis bacteria mutated nearly 20 years prior. Newer strains, such as the strain called P3, produces more pertussis toxin and/or have evolved to become vaccine resistant. Another Bordetella organism called parapertussis — for which there is no vaccine — can also cause symptoms of whooping cough, and this too is contributing to rising rates of infection. Research published in 2012 found that 81 percent of 2010 California whooping cough cases in people under 18 occurred in those fully up to date on the whooping cough vaccine. It also confirmed that acellular pertussis vaccines only stimulate a type of immunity that lasts about three years at best. In an article published in the journal Pediatrics, Dr. James D. Cherry also revealed that estimates for pertussis vaccine efficacy  have been significantly inflated due to the case definitions adopted by the World Health Organization in 1991, which required laboratory confirmation and 21 days or more of paroxysmal cough. All less severe cases were excluded. As a result of these updated case definitions, the efficacy of the vaccine Infantrix was boosted from 71 to 84 percent. A New England Journal of Medicine study  also reported that after the fifth dose of DTaP, the odds of acquiring whooping cough INCREASED by an average of 42 percent per year. An infant baboon study  led by U.S. Food and Drug Administration researchers showed that while the pertussis vaccine in DPT and DtaP reduces serious clinical disease symptoms, it does not eliminate infection or transmission of B. pertussis whooping cough. The study’s lead author Tod Merkel explained that when exposed to B. pertussis after recently getting vaccinated, you could be an asymptomatic carrier and infect others, adding,  “When you’re newly vaccinated, you are an asymptomatic carrier, which is good for you, but not for the population.” Another study  published in the BMJ found the Tdap booster shot is only 53 to 64 percent effective. A British study showed that of the 20 percent of children diagnosed with whooping cough, 18 percent were fully vaccinated against it. Another study,  which analyzed the genomes of whooping cough bacteria, found that the “acellular vaccine antigen encoding genes are evolving at higher rates than other surface protein encoding genes,” again suggesting the disease is not being prevented with mandatory, mass vaccination programs. Here, the four hypotheses presented for the rise in prevalence were: insufficient vaccine coverage; frequent primary vaccine failure; waning of vaccine-derived protection and vaccine “leakiness” (when a vaccinated individual somehow becomes infected upon exposure). Significant variations were noted in the proposed booster schedule depending on which of these scenarios were chosen as the basis for the algorithm. A U.S. Centers for Disease Control and Prevention (CDC)  report highlighted the transmission of whooping cough among vaccinated children. The outbreak occurred at a Tallahassee, Florida, preschool in 2013. Twenty-six students between the ages of 1 and 5 contracted whooping cough, as did two staff and 11 family members. Why is whooping cough increasing in the U.S. despite record rates of pertussis vaccine uptake? Why has vaccinating household contacts of newborns (so-called “cocooning”) failed to prevent pertussis among infants? Does B. pertussis exist in an asymptomatic infection state? Can pertussis be transmitted from asymptomatic individuals? Do pertussis vaccines interfere with transmission processes and, if so, how? All of these questions have been raised in the past, and a number of scientific studies have offered compelling clues to their answers. Unfortunately, concerns have been largely swept under the proverbial rug, and the “solution” has been to simply add booster shots. Based on the conclusions in this new paper, the real problem — the fact that the B. pertussis bacteria have evolved to survive vaccine pressure and will continue to do so as long as we insist on mass-vaccinations — may well continue to be ignored. How Great a Concern Is Whooping Cough? Whooping cough can indeed be serious, especially for newborns and babies whose tiny airways can become clogged with the sticky mucus produced by the toxins in B. pertussis bacteria. That said, the vast majority of children and adults get through a bout with whooping cough without complications, and it’s important for them to get proper nutrition, hydration and rest to support the healing process that sometimes can take as long as two to three months before coughing ends. For a list of natural remedies that can help someone with whooping cough move more comfortably through the healing process, please see “Whooping Cough Vaccine Not as Effective as Thought.” Similarly, while some children and adults get pertussis-containing vaccines and experience no complications, others suffer serious reactions and injuries, or have died after getting vaccinated. It is well known, for instance, that whole cell and acellular pertussis vaccine in DPT and DTaP/Tdap vaccines may cause brain inflammation and permanent brain damage in both children and adults. 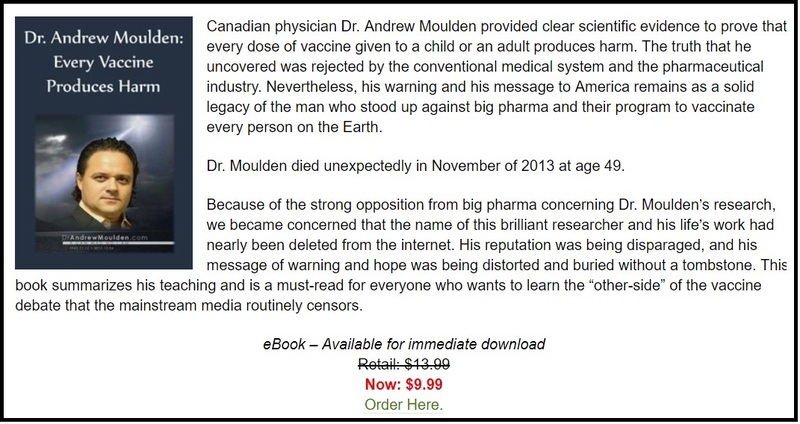 If you want to learn more about vaccines, consider picking up a copy of Neil Z. Miller’s book, “Miller’s Review of Critical Vaccine Studies: 400 Important Scientific Papers Summarized for Parents and Researchers” — a book written in response to the common refrain that ‘there are no studies showing vaccines are unsafe or ineffective.’ In it, he reviews the concerns about vaccine safety and efficacy raised by 400 peer-reviewed published studies. 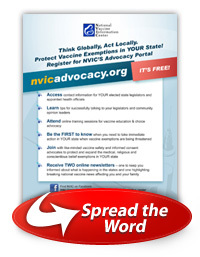 Signing up for NVIC’s free Advocacy Portal at www.NVICAdvocacy.org gives you immediate, easy access to your own state legislators on your smart phone or computer so you can make your voice heard. 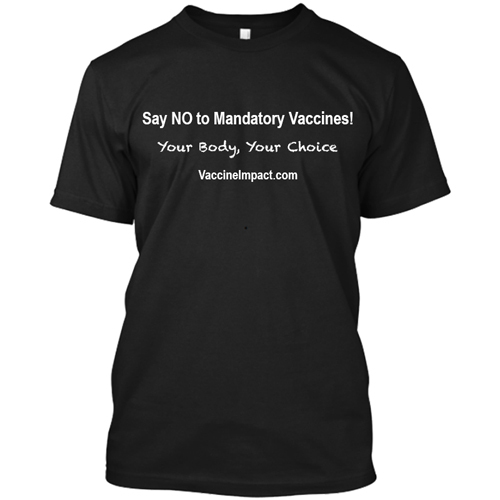 You will be kept up-to-date on the latest state bills threatening your vaccine choice rights and get practical, useful information to help you become an effective vaccine choice advocate in your own community.